Simple and beautiful, this Wooden Owl Teething Toy is designed to help babies strengthen their grasp, as well as to develop their senses of sight and touch. 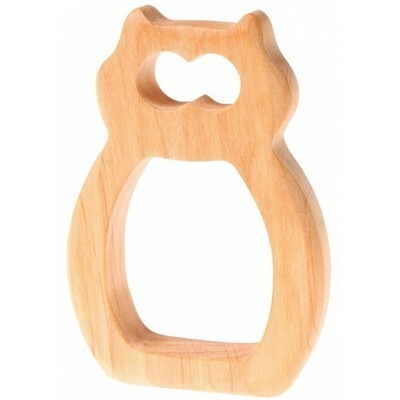 With its organic shapes and the warmth of real wood, this wise little owl is attractive and easy for babies to clutch. Attach your child's clutching toy to Grimm’s beautiful Pacifier Holder (sold separately) and never lose it again! Just the right size for wee little hands, this grasping and teething toy makes a wonderful shower gift for an expectant mother.